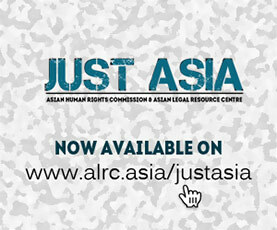 The Asian Human Rights Commission (AHRC) writes to inform you that three protestors, whom the police had brutally assaulted, arbitrarily arrested and tortured while in custody in May 2009, had been convicted for nine months over false charges of attacks and violence. The protestors were together with several villagers holding a peaceful demonstration to protest against the fictitious facilities a local hotel had advertised it was offering. According to the Medan Legal Aid Institute, three student activists, namely Mr. Fachurrozzi, Mr. Maksum and Mr. Rino Hadinata, took part in a peaceful demonstration on May 14, 2009 in front of the Grand Atares Hotel in Jalan Sisingamangaraja Kota Medan. The police assaulted them, had them arbitrarily arrested and tortured while in police custody. The three men, all are members of the Pancasila Students Group (Mapancas), a student organization, were protesting against the hotel’s facilities that they have advertised to their guests and customers in their leaflets. The hotel claims they have a swimming pool for children and a fitness center, but these are non-existent. Three days prior to the demonstration, the group had complied with the requirements on matters regarding demonstrations. They had sent, as required by Indonesian law number 9 of 1998 article 10 paragraph 1 regarding freedom of opinion in the Public Area, information about their planned demonstration to the Chairman of North Sumatra Regional Police. However, despite having complied with the requirements, Darwin Ginting, Chief of sector police of Medan Kota Adjutant Commissioner Police (AKP), threatened the demonstrators and allegedly gave verbal orders to his subordinates to assault and shoot protestors during their demonstration. He is reported to have said: “if the demonstrators move one step forward, hit them or if necessary shoot and I will take responsibility“. After hearing the orders the police, who were securing the area where the demonstration was taking place, commenced the attack and began violently dispersing the demonstrators. Photo 1 and 2. Darwin Ginting and his men grabbed bamboo sticks to kick, beat and assault the demonstrators, particularly the three student activists which resulted in them suffering severe injuries. You can also view the video containing the photographs about this case. They were taken to the Large City Police of Medan, and were detained until June 24, 2009. They are reported to have been continuously tortured while in police custody. It is known that when one of their lawyers visited them in jail following their arrest that torture marks and severe injuries could still be seen in their bodies. Also, the lawyer noticed, through his conversations with them, that the victims appeared to be mentally disturbed and he could not discuss their treatment or their case with them properly. This strongly suggests that they might have been suffering from a post traumatic stress syndrome (PTS) due to torture. It is reported that the victims have been falsely charged with committing assault and violence under article 170; committing violence against person or property; and for maltreatment under article 351 the Indonesian Criminal Law (Case No. 2187/Pid.B/2009/PN.Mdn). After being held for over four months, the three men were taken to the Medan District Court where their case was tried from early September to October 7, 2009. The Public Prosecutor, Octario, had asked the court to impose a punishment of one year and six months imprisonment, upon the three students. When the court concluded the trial, Judge Catur Prianto sentenced the three to nine months imprisonment. The victims’ legal counsel immediately appealed for the court to reconsider its decision. Torture has not been criminalised in Indonesia and therefore the perpetrators could not be punished. The AHRC has documented cases of torture in the past (please see recent cases: AHRC-UAC-065-2009 and AHRC-UAC-066-2009).
] are human rights that cannot be diminished under any circumstances whatsoever’. The same right is protected by Article 28G paragraph (2) and Article 28I paragraph (1) of the 1945 Constitution. The Indonesian government, as a State Party to the UN Convention against Torture and Other Cruel, Inhuman or Degrading Treatment or Punishment (CAT), is obliged to criminalize torture, and to put enforcement mechanisms in place that will help put an end to it, in its many forms. The family of the victim is also entitled to compensation as laid out in Article 14 of the CAT and Articles 2 (3) and 9 (5) of the ICCPR. Please send your letters to the authorities listed below to call for the immediate unconditional release of these victims. The conviction imposed on them must be reconsidered once it is proven that there were irregularities to the legality of their charges filed and their manner of the trial. The allegations of torture must be thoroughly investigated. Also, urge the government to ensure that disciplinary and legal action be imposed against the police officers found to be involved. Status of their case: On October 7, 2009, the Medan District Court convicted them for nine months for charges of assault and violence under article 170, for committing violence against person or property; and article 351 for maltreatment, under the Indonesian Criminal Law. I am writing to voice my deepest concern regarding the case of three student activists mentioned above who had been convicted over false charges after they had been assaulted, arbitrarily arrested and detained, and tortured while in police custody in May 2009. According to the information I have received the three victims were with several other villagers when they held a demonstration in front of Grand Atares Hotel in Jalan Sisingamangaraja Kota Medan. They were protesting against the hotel’s fictitious facilities which were advertised in their leaflets but in fact were non-existent. The Pancasila Student Group, to which the victims are attached, had complied with the necessary requirements prior to holding the demonstration. They had sent a letter to the Head of North Sumatera Regional Police on May 11, 2009, containing information regarding the schedule and the details of their planned demonstration. However, when the group held the demonstration, the police allegedly assaulted, arbitrarily arrested and detained and tortured them in police custody. This is an outright violation to the victim’s right to freedom of expression and peaceful assembly to express grievances in public. The reported filing of false charges against the victims, which resulted in their conviction and sentencing to nine months in prison, is unacceptable. I am deeply concerned by the denial of the right to fair trial to these victims. I urge you to ensure that the victims’ allegations of torture are promptly and thoroughly investigated and that disciplinary and legal action be imposed on the police officers involved. I also call for a proper review on the victims’ conviction. Once proven that there are irregularities in the legality of their charges and of how the conviction was reached, their case must be withdrawn promptly. It is disappointing to note that torture remains part of Indonesias policing method for investigation and punishment despite the country being a State Party to the UN Convention against Torture and Other Cruel, Inhuman or Degrading Treatment or Punishment (CAT). Its failure to have torture written as a criminal offense in its domestic law effectively deprives these victims of any remedies and redress. I also call for the effective implementation of the Regulation of the Chief of Indonesian National Police Number 8 of 2009, which was newly enacted to deal with the Implementation of Human Rights Principles and Standards in the Discharge of Duties of The Indonesian National Police. I look forward to your action in this matter. Jl. Sisingamangaraja Km.10,5 No. 60 Medan, Sumatera Utara 20148.